Ready for a beautiful new online home? You can expect a clean, modern site that’s easy to use, and proudly represents your brand and business. 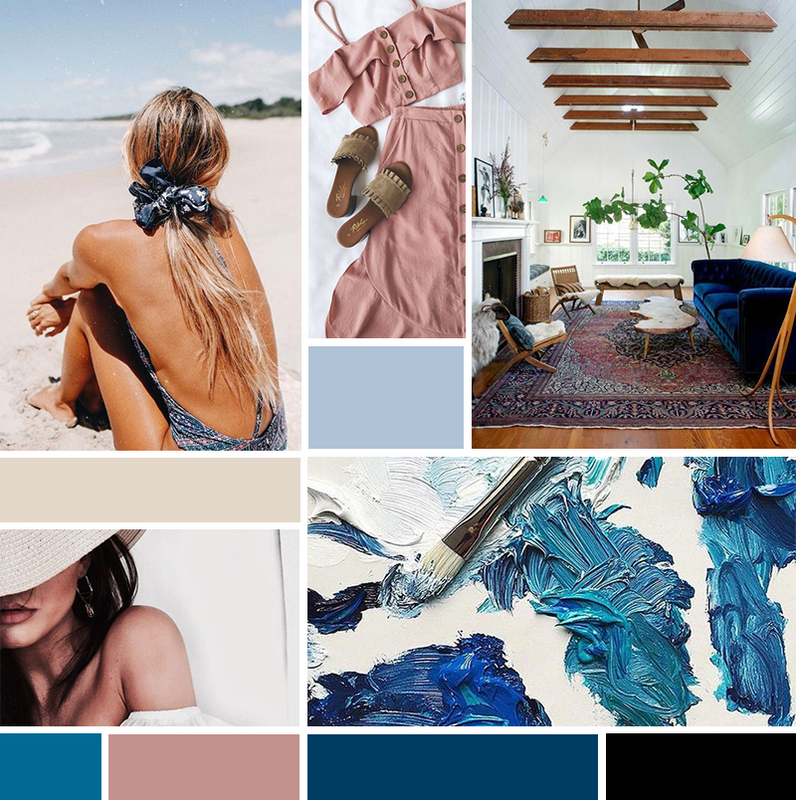 Eva works in a 2 week design process, so in the first phase you’ll gather all the materials and photos you want on your site (this usually take about a month to 6 weeks), then Eva will create and design your site during your specific 2 week design spot. Timeline: 4-6 weeks to gather your content and 2 weeks for the Design. We’ll work with Chelsea from Honey & Co. Creative to create a “tell me more” brand image that attracts and captivates your audience with ease. Branding Style Guide with details on fonts and spacing, colour hex codes, and instructions on how to use all branding elements properly for future branding and marketing endeavors. Eva will then bring in all of the branding and design elements from your branding package into your new website for a cohesive, beautiful online presence! Reach out below and we'll schedule a call to chat about your business needs. Who is website design for? If you're an entrepreneur or small business owner looking for a clean and modern site that’ll be easy for you to use and navigate on your own after it’s created, this would be a great fit for you. What platform do you build the site on? We solely use Squarespace because it's so user friendly and easy for you to maintain. Squarespace works on the backend to constantly be maintaining your site so you won’t have to hire someone to up keep it working after. Squarespace is also always available for website support via email, or instant chat to answer your questions. Web design services are payable in two payments; 50% to hold your spot and get started, and 50% on your website launch day. Website + Branding Package can be paid in 3 installments. The copy and words on your site as well as the photos and materials needed for your site need to be provided by you. No copywriting services are included. If you’d like to have high quality stock photos on your site, those are an additional cost and range from $5-$15 and are not covered in your web design package. Any photos chosen will be discussed together. Email, domain & hosting fees are not included. Domain fees usually average $15-$40 dollars a year, website email (example: eva@bossladydigital.com is $5.00 a month, and squarespace hosting and site fees range from $12-$18 a year. Because I’m a squarespace circle member you can receive 20% off when you pay annually for squarespace costs. What if I need further help with my site after it’s launched? You’ll receive Eva’s hourly rate of $1.50 a minute for little future tweaks and edits. What if I need more help or coaching around what to put on my site or my business needs? You can add on coaching and strategy sessions with Eva to your website package. This package adds on 3 coaching sessions to get into the needs of your business and the creation of your site as far as your business plan and overall marketing strategy! As a designer, Eva brings her understanding of online business to the table to map out a beautiful site for you AND make sure it’s going to function well in your overall marketing and business strategy. You don’t want to have a gorgeous site made and then have no one go toor not know what to do with it, which often happens when a site is designed with no strategy. During these 1:1 coaching sessions Eva will walk you through what you need on your site and why, in a way that strategic, authentic and unique to your brand and business. Questions like what should my “freebie” be when people give me their email address, what email platform should I use? What kind of coaching packages should I offer and how do I invite people to them? What the best payment system or calendar booking system, and what do I do when I feel freaked out and doubting myself? All those types of questions can be covered in coaching sessions. Bring it on! You’ll feel clear and excited after these sessions about how you’re moving forward with your business and new website!